Like all internal combustion engines, a key part of your Mercedes-Benz’s regular operation is compression. This is the process of pressurizing the mixture of gasoline and air inside a cylinder to insure the correct combustion cycle is completed. 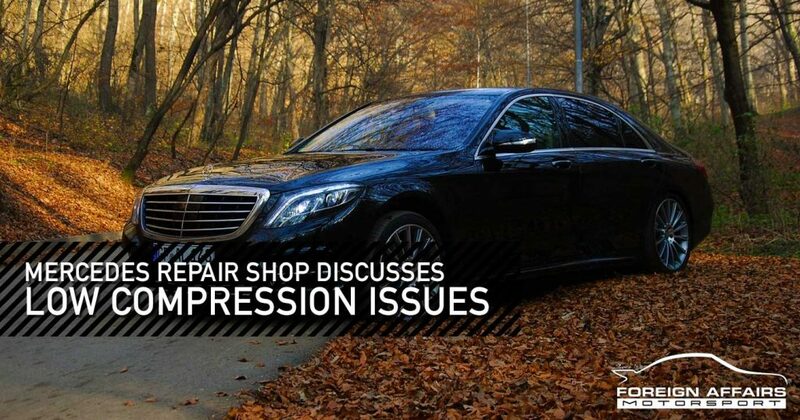 As Mercedes repair shop specialists, we have all experienced an engine with low compression, here are our tips on cause and diagnosis. The first signs of low compression is a lack of power, the engine backfiring, or the distinct smell of gasoline from your exhaust. Another sign of low compression can include your Mercedes-Benz not starting, even though the battery, oil, and fuel level are good. We start by checking the worst-case scenario – the possibility that a timing belt that is damaged. This can be a result of teeth missing, the belt being over stretched, or a bad timing chain. The concern with incorrect timing is that the intake and exhaust valves can be stuck open or closed, or are closing when the piston is in the wrong position for compression. The second fear is that it is possible for the piston to ram into a valve and cause additional damage to the engine. Another area we check in this scenario are cam belts and chains. These can be inspected visually by removing the cam cover, and by testing the cam tensioner. The timing cycle is then tested by manually rotating the gear attached to the camshaft to ensure that an arrow engraved on the gear, lines up with an arrow engraved on the engine block. On inline engines if the head gasket is bad, all the cylinders will experience low compression. On V-engines and Boxer-engines, a bad head gasket will cause all the cylinders on one side of the engine to fail. The sole purpose of a head gasket is to create an airtight seal between the engine block and the engine head. If the gasket fails, it allows the gasoline air mixture to leak out, which will prevent compression from taking place, and in some engine designs, can lead to oil being mixed with gasoline and vice versa. Bad gaskets are caused by old age, poor engine maintenance or by a mechanic reusing a gasket or replacing the gasket with a cheap non-oem aftermarket part. 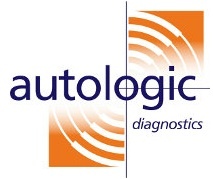 Diagnosis can be as easy and seeing an oil or fuel leak on the engine. If only one cylinder is diagnosed with low compression, there are three common failures that our Mercedes Benz repair shop investigates. A piston can become damaged in multiple ways. Increasing your engine’s boost dramatically can cause a piston rod to bend, as it is not designed to handle such high pressure. A bent rod prevents the piston from reaching its desired high point in the cylinder. Extreme heat from your car overheating, or from running non-standard fuels such as ethanol or high octane racing gasoline, can cause spots to form in the alloys of the piston. Continuous exposure to this heat can cause these spots to melt into holes, and cause piston rings to warp and crack. This allows gasses in the cylinder to escape, which results in low compression. Again, using nonstandard fuel, or increasing your cars boost can cause your engine’s block, intake or exhaust valves to go through heating and cooling cycles it wasn’t designed to handle. This can cause these parts to crack, and any cracks in your engine creates a path for gases to escape. To prevent low compression issues it is recommended you follow your cars service guide, and keep up to date with all the required Mercedes Benz Maintenance checks. If you are planning to increase your car’s power output by installing larger turbos or superchargers, or by running nonstandard fuel, we recommend getting advice from tuning professionals. This will help you know what your engine is rated for, and what supporting modifications are required to run things safely. Checking compression and timing at home is fairly easy but it is recommended to have a professional check your engine instead of doing it yourself. Contact us at Foreign Affairs Motorsport, South Florida’s Premier German Auto Repair, Performance & Race Facility Since 1978 for all your compression questions.